I have always desired to have all of my children work on a Bible Study together. With ages from 5 to 16 that has always been kind of hard to find. I can read the Bible and we can discuss it at various levels, but often times I lose the little ones in the talk. Bible Study Guide For All Ages is a curriculum that is geared for a variety of age groups, each studying the same scripture and place in the Bible at the same time! They utilize different workbooks for the various age groups, but each lesson is similar to work together. 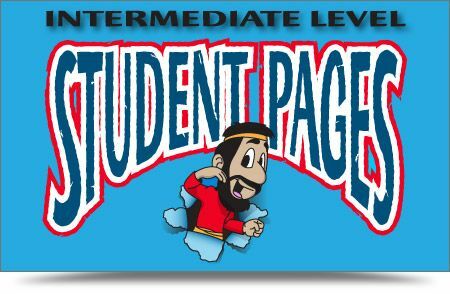 I chose to review the Intermediate Study Pages for grades 3-4 (see a sample HERE) and the Advanced Study Pages for grades 5-6 (see a sample HERE). There are 26 lessons per student page book. They sell for $5.95 each and cover both the Old and New Testament in each one. 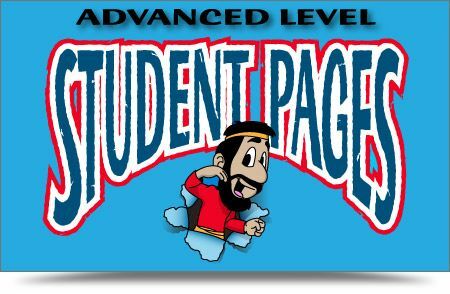 There are 416 total lessons in each level, for a total of 16 student page books. These are narrowed down to 4 units which you can see the order of study HERE. This will give you a two to three years of study depending on how many lessons you do a week. For our review it was recommended two lessons per week. We chose to do Tues and Thurs to keep a schedule. The study was so fun that the kids really would have been fine to do it daily! There were a several times in the Intermediate level that referenced a song on the Childrens Song CD Set that would be helpful to have in this study. Memory style songs to help in having another venue of getting the word memorized. This CD sells for $19.95. We did not get this for review and it is on our list to purchase to continue in our studies this school year. The studies line up great with each other. They are studying the exact same thing, and answering in a slightly different way depending on age. Being very visual children, the Bible Book Summary Cards were a fantastic way to visualize the concepts we were learning in our study. These are $24.95 for 66 flash cards, one for each book of the Bible. 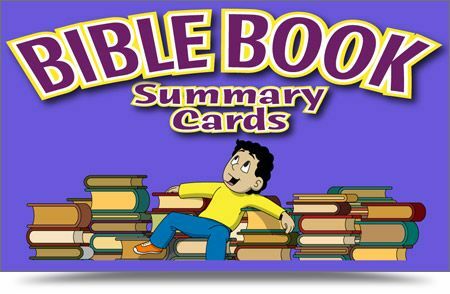 8.5 by 11 glossy cards, these are great for a variety of games and drilling Bible facts beyond the study time. My Crew Mates have reviewed these and other products from Bible Study for All Ages. Click on the Banner below to see their thoughts.